I've been after a C11 for a while now. 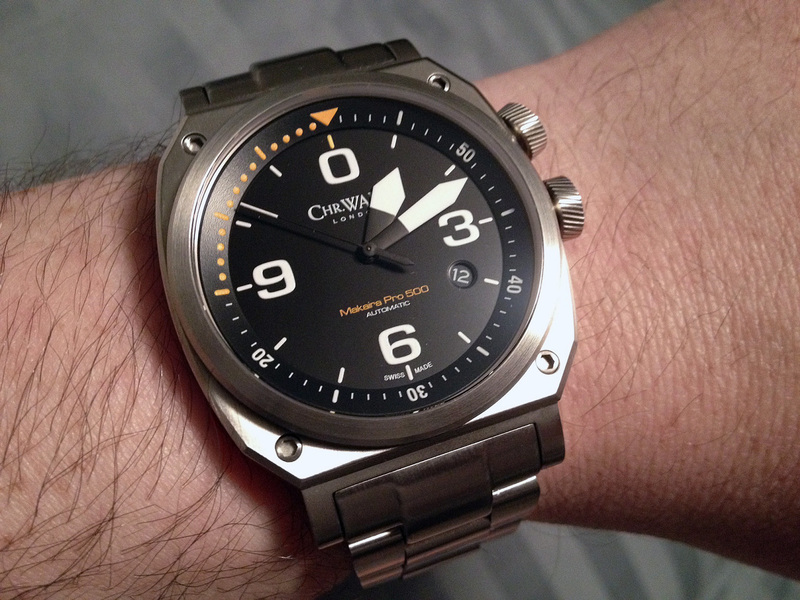 My original lust was for the regular C11 MSL, a watch designed to resemble an aircraft altimeter. 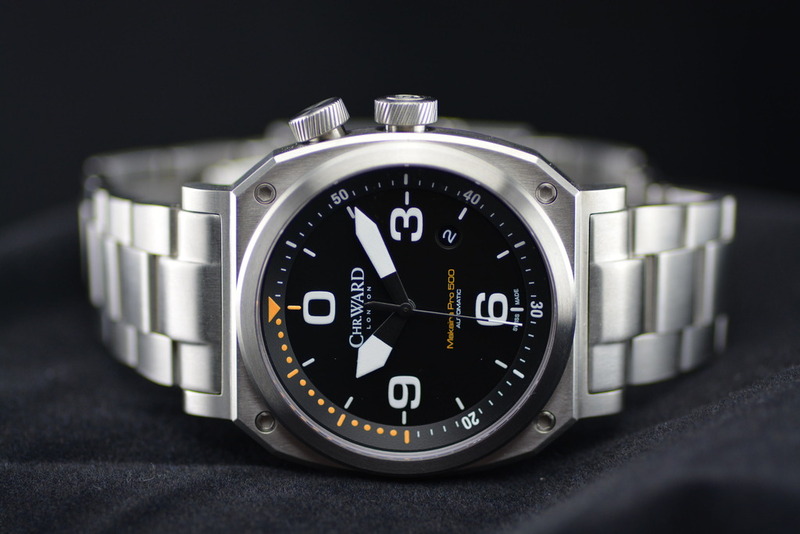 The Makaira Pro 500 (C11-MAK-SKWS) uses the same case and basic design but adds a dive slant with 50m water resistance, a slightly different dial and rotating inner bezel. Also unique to the Makaira is the factory bracelet option. The brushed finish is well done. I prefer the hex heads here as opposed to the flathead screws on the MSL model. AR coated crystal is almost invisible, very nice. Crowns are solid and easy to grip. The main crown screws down smoothly and the bezel crown has a nice positive click for each marker. 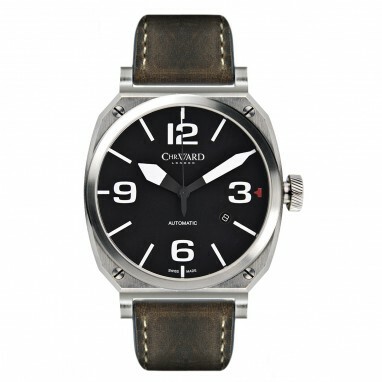 The watch wears large at 42mm. 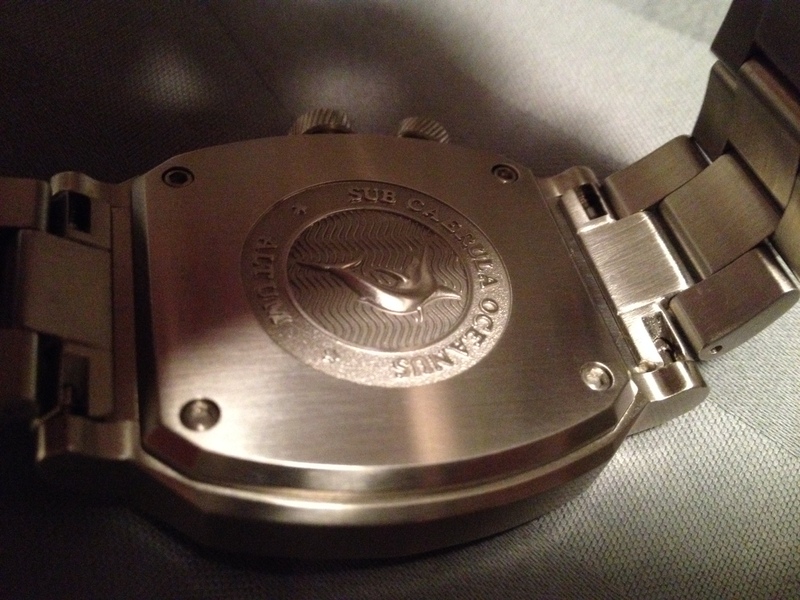 Caseback is deeply engraved with a Makaira (Blue Marlin?). Bracelet is decent with solid links and an annoying pin and collar system. Diver's extension limits you to using only three of the five micro-adjustments but it all works just fine. The hands and numbers are very crisp on the semi-matte finished dial. Excellent readability. There's a zero at 12 o'clock here which suits the unusual-ness of the watch. Overall I love it. Unlike anything else I own and impressed by the quality. Last edited by Racer-X on Sun Sep 27, 2015 12:41 pm, edited 1 time in total. 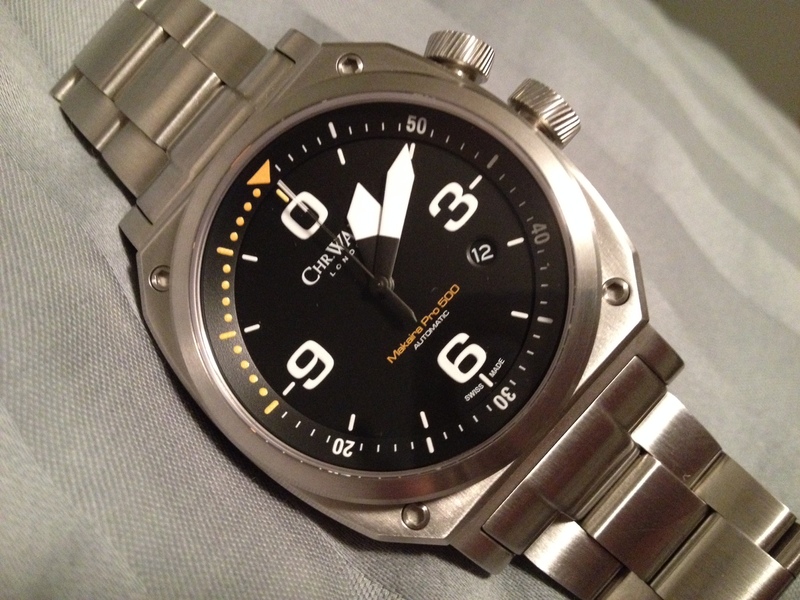 Nice review, great watch. I really like the dial on that one.